As the New Year is about to begin, I’m so pleased to let you know that my good friend Marianne Williamson has written a new book. In the book, Marianne focuses on the fact that while millions of people in the world have suffered devastating financial woes, losing their jobs and their security, sometimes even their homes, and sense of worth, each of us has the power within us to believe that good things are possible, that our lives can change and get better, that ‘miracles can happen‘. She talks about how this one simple shift in our thinking can have such a profound effect on what actually comes next for us, and where our lives go from there. In The Law of Divine Compensation you’ll learn exactly how the power of your own thoughts can either attract or deflect miraculous experiences in your life. 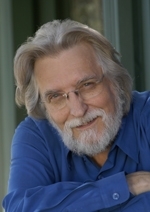 “As an expression of divine perfection, the universe is both self-organizing and self-correcting. To whatever extent your mind is aligned with love, you will receive divine compensation for any lack in your material existence. From spiritual substance will come material manifestation. This is not just a theory; it is a fact. It is a law by which the universe operates. I call it the ‘Law of Divine Compensation’. Just as there are objective, discernible laws of external phenomena, so there are objective, discernible laws of internal phenomena. The law of gravity, for instance, is not just a ‘belief.’ It is true whether or not you believe it. Spiritual laws are not just beliefs, either; they are descriptions of how consciousness operates. Once we know this law — that there is a natural tendency of the universe to improve all things — then we lean naturally into the arms of God and allow Him to lift us up. We surrender our thoughts, then He uplifts our thoughts, then our experiences change. The practical issue is whether we choose thoughts that activate or deactivate the Law of Divine Compensation. We activate it with every loving thought. We deactivate it when we give more credence to the reality and power of the material world than to the reality and power of love. then miracles, though they are programmed into the nature of the universe, cannot make their way into our awareness. 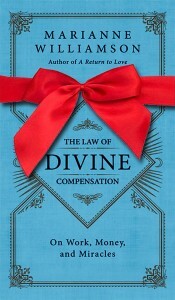 The Law of Divine Compensation applies equally to all situations, but in this book we will focus on its application to money and the lack thereof. In a time of economic uncertainty — when circumstances make it particularly tempting to believe in the scarcity of the material plane over the abundance of the spiritual — our capacity to think differently is the miracle-worker’s edge. Bills stare you in the face. And with all that comes chaos on many fronts. Who doesn’t need a miracle then? Marianne sees life the way all of us need to, want to, yearn to see it. Her book will enrich your mind, expand your awareness, deepen your understanding, and touch your soul in a way that is rare these days, putting you back in touch with your real and true self and making you care again. P.S. 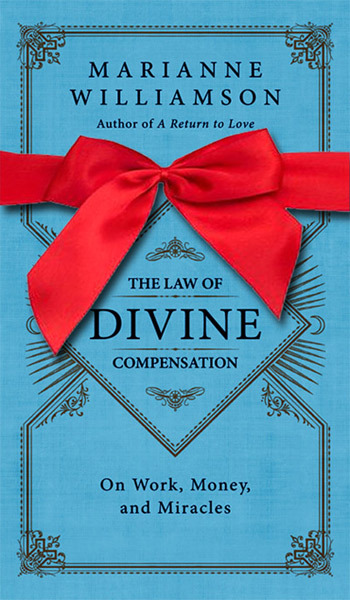 There’s also a short video of Marianne talking about The Law of Divine Compensation and reading another excerpt from it here. I too have seen such personal devastation in my life, only to be reconstructed to perform great acts of faith. Having suffered many of the trials mentioned above, I was finally shown my divine purpose. In an expression of joy, I use my talents along with psychic medium detectives to re-open cold case murders and then write books chronicling the journey. This catharsis has brought an inner peace to my life. Combining the shorthand of the dead with the fervor for victim’s rights has led me down a very interesting path. See my blog; Anatomy of a Murder to walk the journey. The book is now under final editing and I am seeking representation. Blessings for the brave of heart-let go and let God.